Antal Receptacles have two different designs: SBR, with symmetric batten, and Standard, ie, Antal’s traditional receptacle. SBR. 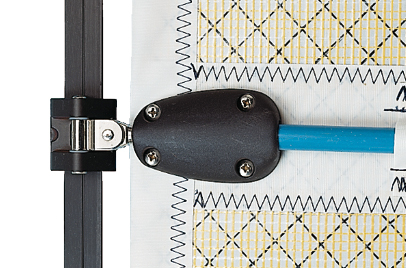 The SBR is different from standard batten receptacles in that it fits inside the batten pocket, making it invisible on the outside except for the small fastening plate - thereby almost completely eliminating chafe on the mast and rigging. Moreover the batten will be not on one side, but perfectly ”in the middle”. Standard. The traditional mounting system with two screwed cheeks and the batten on one of the two sides of the sail. This batten receptacle is external with respect to the sail and can chafe on the mast. Installation is however much simpler. Battens. 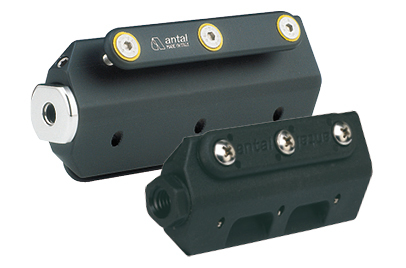 Antal realizes receptacles for round and flat battens for all diameters and dimensions of the batten. SBR receptacles include moreover a trimming screw for batten compression. All receptacles are provided with a threaded hole cap for the connection of the receptacle to the slider with joint. Materials. SBR receptacles are produced both in resin and in aluminium. Standard receptacles are realized in resin. Aluminum is hard black anodized and resin used for receptacles assures long life to these products and high resistance, in fact it is made of high strength 50% glass fibre resin with UV protection. Resin standard receptacles for round and flat batten made of high-strength resin with max UV resistance. SBR means Symmetric Batten Receptacle. It is sewed inside the batten pocket and it sits perfectly in the middle of the sail.